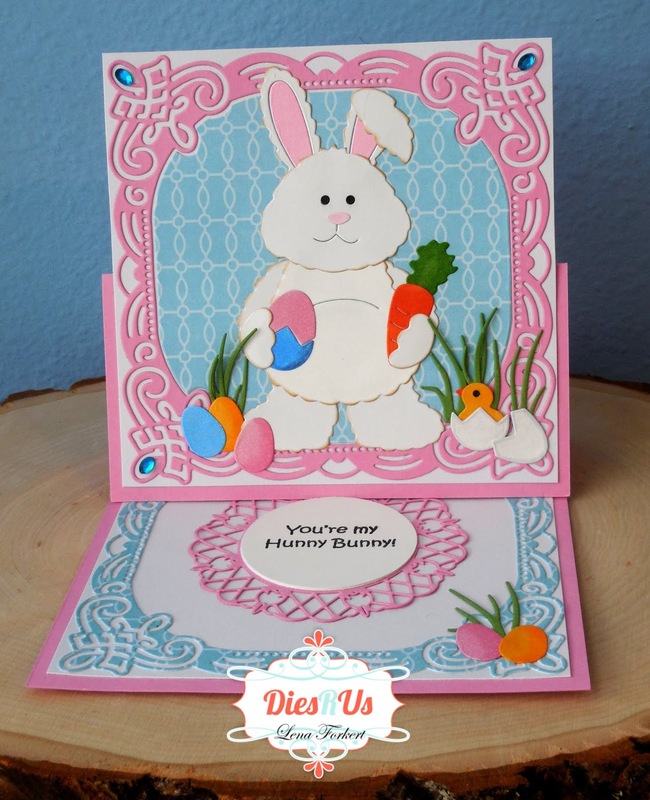 Dies R Us: Easter Bunny is on his way! Isn't this Easter Bunny by Die-Versions, just the cutest? You can get it at the Dies R Us store right HERE. It won't be around for very much longer, so get your shopping done today. This is what the card looks like when closed and ready for mailing. And here is a full view of the inside of the card. Now for a quick pictorial of how I put this super easy card together. 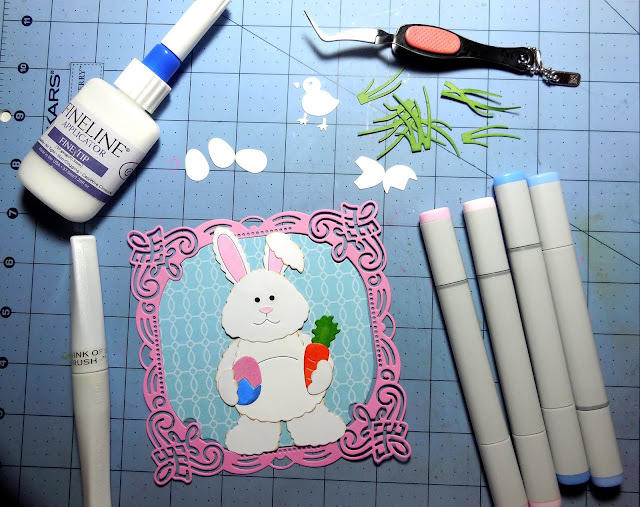 I began by cutting out the background twice using the Art of Living Frame by Jeanine's Art. 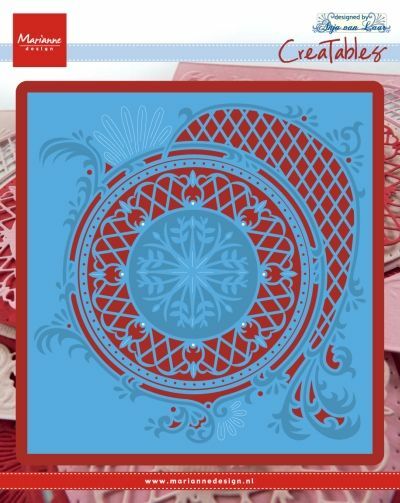 Once out of the blue patterned paper and once out of solid pink card stock. 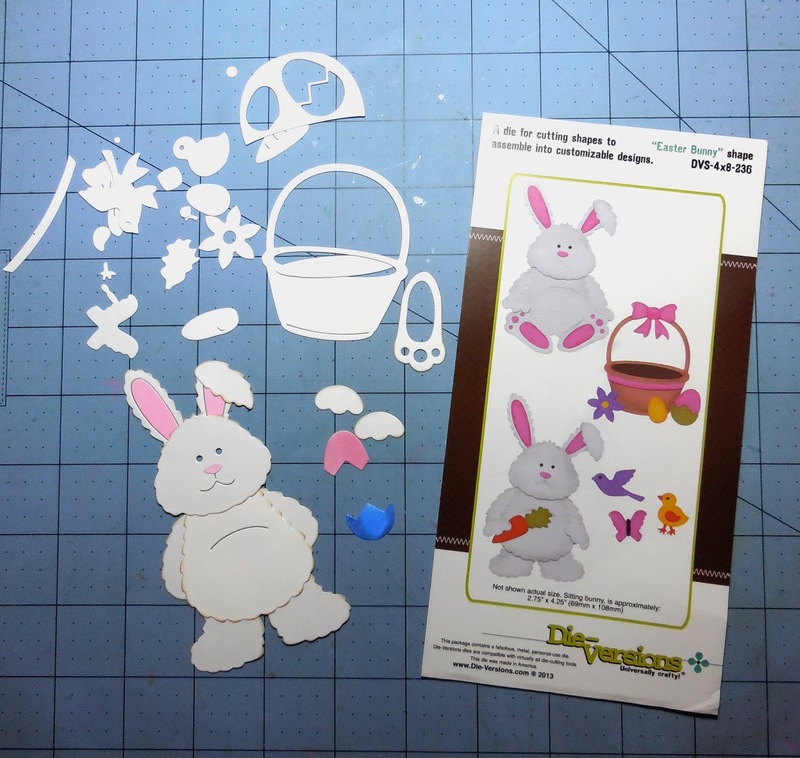 Then I cut out the bunny and after getting all my bits and pieces together, I assembled it. Using a small sponge dauber, I sponged all the edges of the bunny with Memento Desert Sand ink. 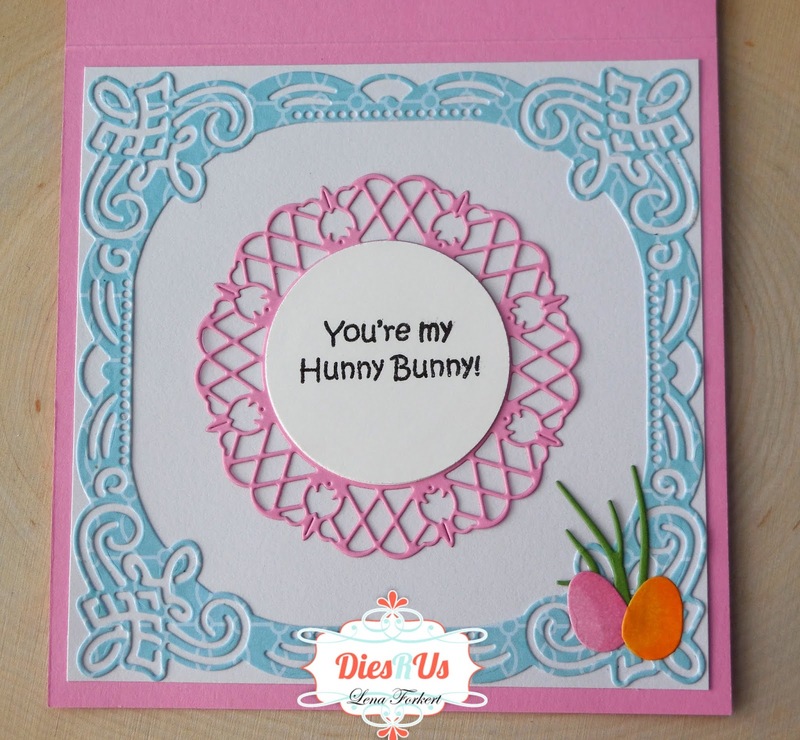 by Impression Obsession, and a few more of the Easter Eggs that come with the Easter Bunny die. Using a FineLine Bottle Applicator, I adhered the frame and the Easter Bunny scene to a 5.5" x 5.5" pink easel card base. The Marianne Design dies are normally under Special Orders in the store. 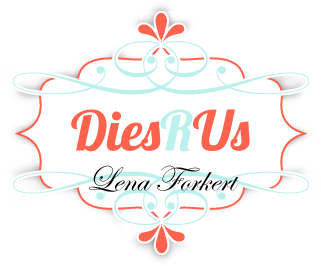 Every so often, Dies R Us runs a big sale on international dies. During these times, you will find dies from companies such as Marianne Designs, Lea'bilities, and Joy Crafts among others. The best way to know about these fabulous sales is to subscribe to the Dies R Us Newsletter. When you go to the store's home page, scroll down to the bottom. There you will find a box where you can enter your email address and be put on their mailing list. OMG what a cute creation! What fun! Awwww, this is such a cute fun card! 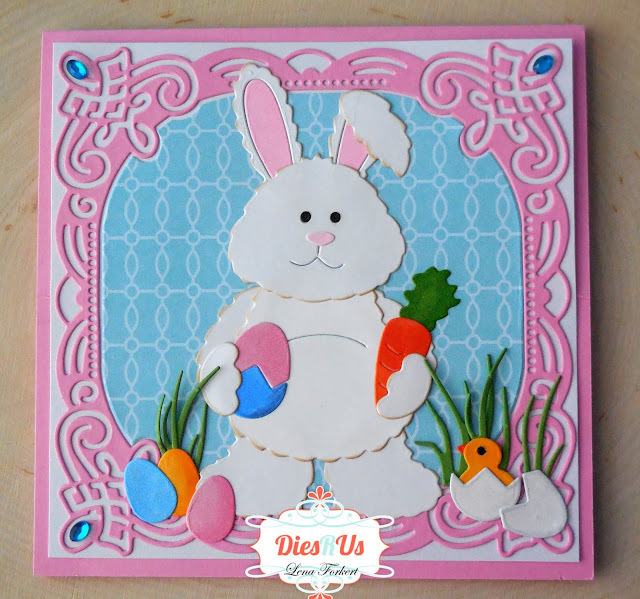 WOW- what a fabulous combo of dies for such an adorable Easter make! A terrific Design, Teamie! That fat bunny is adorable!